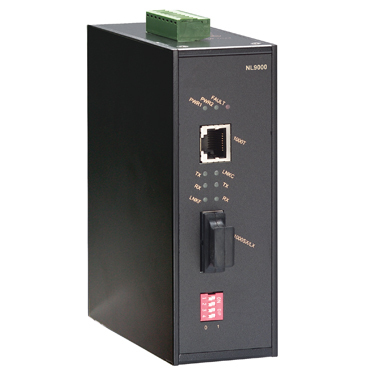 E–400 the NETest-E - RJ-45 Compact Basic Network Cable Tester is designed to provide quick and clear results for testing network cable continuity and wiring configuration. 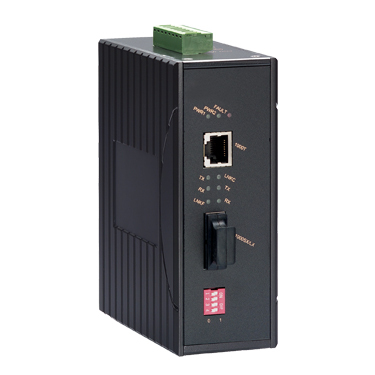 It will detect the most common wiring faults on TIA568A/568B, Token Ring, 10 BASE–T, and 10/100 BASE–T twisted–pair cables. The faults detected by the NETest-E - RJ-45 Compact Basic Network Cable Tester include shorts, mis–wiring, reversed pairs, and shielding faults. Just plug a cable into the Main and Remote units and the NETest-E - RJ-45 Compact Basic Network Cable Tester will begin testing automatically. 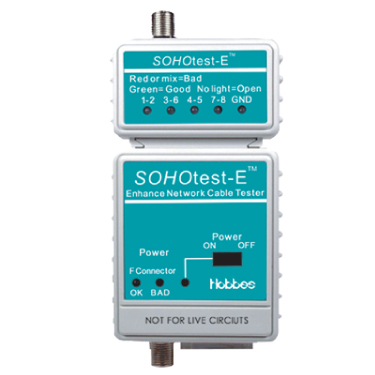 E–450 SOHOtest–E - RJ45 and F Compact Basic Network Cable Tester is designed to test the most commonly used cables in a residential/home office environment. It can be used to determine wiring faults in network, cable TV, and home security system cables, either before or after installation. The SOHOtest–E - RJ45 and F Compact Basic Network Cable Tester is so easy to use, even notice home network users can save hundreds of dollars by determining cabling faults before calling for professional repairs. 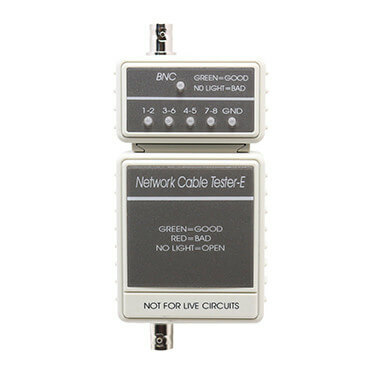 Network Cable Tester – RJ45 Basic Network Cable Tester 251450/E Our comprehensive range of cable testers have many different levels of features. 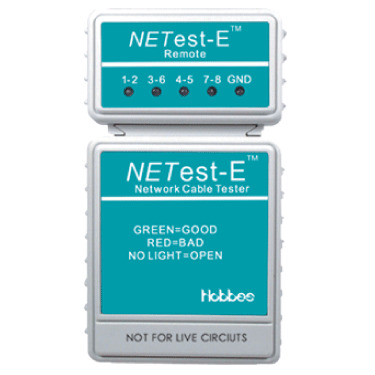 Designed and developed for cable installers and network professionals, there is a tester to suit your requirements. From the wire mapping function of the LANtest - RJ45 Basic Network Cable Tester to the coaxial tester, simply pick the model with the features that best suits your needs.